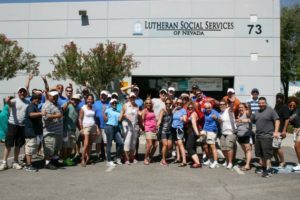 Thank you for your ongoing support of Lutheran Social Services of Nevada. Your financial gifts, love, care, and volunteerism allow LSSN to respond with tangible compassion and help to the needs of local residents. Like you, I care deeply about the needs of hungry families in Las Vegas. 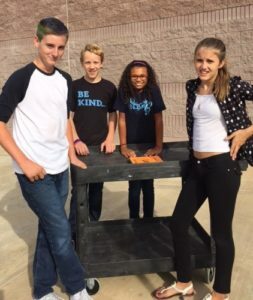 My passion for the hungry in our valley led me to volunteer my time for LSSN during the past decade. As a parish pastor, I knew that I needed to help the congregation I served at that time get meaningfully connected to this vital area agency. Through my involvement, I became aware of the unique and innovative work of LSSN. 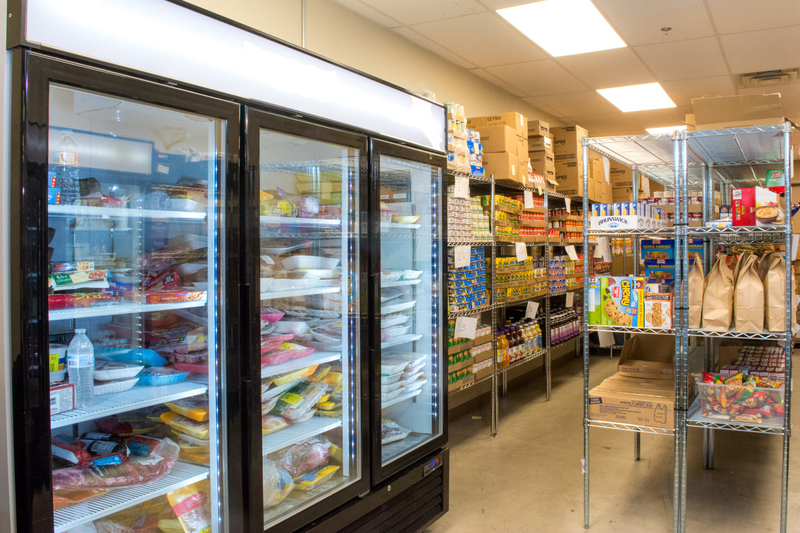 Did you know that LSSN was the first food pantry in the valley to allow clients to shop as if they were in a grocery store? Over nine years ago, LSSN introduced this concept to give those struggling with food insecurity the dignity to choose their own food, rather than simply receiving a prepackaged box of canned and boxed goods. LSSN has continued to innovate over this same decade! Several years ago, they introduced a Nutrition Kitchen to clients. During the intake process, clients were treated to nutritious food and recipes in this Nutrition Kitchen. While waiting their turn to enter the food pantry, clients visited the Kitchen and tasted healthy meals prepared from the very pantry in which they were about to “shop.” The nutritionist explained how to make meals from the canned and boxed food in the pantry that could be prepared to feed their families over several meals. 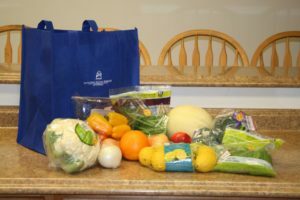 LSSN is the first food pantry social service provider in the United States to provide clients with the opportunity to shop on-line for their food from the comfort of their homes! This new service has allowed clients to further customize their meal choices, while also lowering the amount of time they need to spend at the agency to receive life-giving food. DigiMart is designed to reward healthy food choices in the way it allocates “points.” This is part of LSSN’s movement over the past few years to educate clients on healthy eating! LSSN wants to minimize clients’ risk of becoming obese, getting heart disease or diabetes, and suffering from the kinds of health issues that typically impact those struggling with limited income. Your support of the work of Lutheran Social Services of Nevada has made all the difference! Through your generous previous support, LSSN has been able to change the lives of clients like Miguel. Miguel is a DigiMart online pantry shopper. He also attends nutrition education classes. With his disability, Miguel cannot perform most tasks typically required in the work force. In addition, with no specific skill set, Miguel struggles every day is to provide for his family of four. So, LSSN became known to Miguel as a site where he could scavenge in our refuse for items that could be taken to recycling centers in exchange for cash. Several times each week, Miguel came to the LSSN parking lot with his truck and his family in tow. LSSN was one of the sites he visited on his routes to find recyclable items that could be converted into money to pay rent and essential bills. 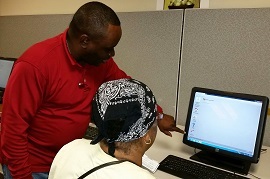 Three years ago, on one of his scavenging tours, an LSSN staff member spoke with him and helped his family through the rental assistance program. Now, Miguel and his family have a stable housing situation! Multiple services were provided to this father of two. 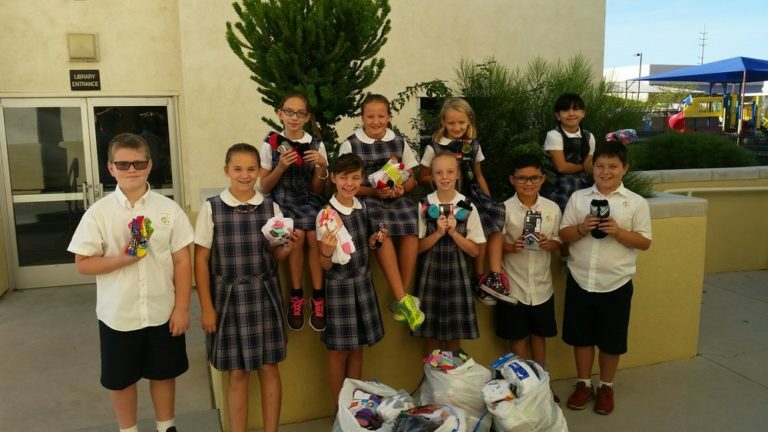 His children received clothing and backpacks for school. With the approval of his Social Security disability and SNAP (formerly known as food stamps) benefits, Miguel’s family now maintains a stable household – all because of LSSN! 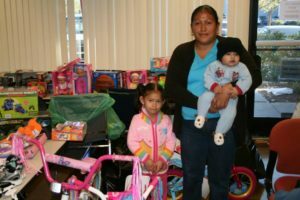 Miguel and his family’s story is just only one example among many of the caring work LSSN does every day! 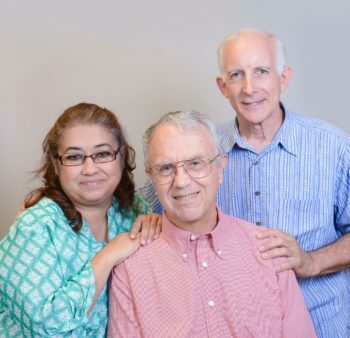 Gregorio and Christina could also tell you their story about how LSSN changed their lives! Gregorio lost a job at a local company and tried to apply for unemployment benefits. After being denied those benefits and in despair, Gregorio and Christina sought assistance from LSSN. They had just received a five-day notice from their landlord to pay or to vacate. When LSSN started managing this case, they discovered that Gregorio and Christina were living in unsafe and unsanitary conditions. Their house had mold, water damage, and a large hole in the ceiling. LSSN promptly searched for a more inhabitable home and helped move the couple into it. LSSN paid the deposit and first month’s rent on their new home. Soon after that crisis, Gregorio was hired by a local company and is now able to provide for his family. Now, LSSN is innovating, again! 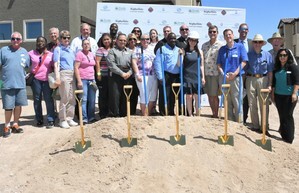 After 21 years of serving the needs of Las Vegas Valley low-income residents, LSSN will soon have a new permanent home! 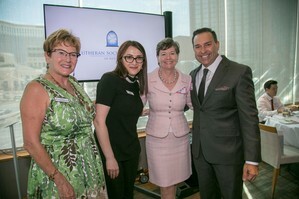 LSSN has launched a $3.75 Million facility and human capital initiative titled, “Opening New Doors.” Because of a generous lead gift and the wonderful support of over 200 additional donors, we have already raised over $3.4 Million toward the campaign goal, so our campaign is off to a great start! However, we still need to raise the final $400,000 to make LSSN’s new home fully functional for clients! LSSN is going to need office equipment and furniture, computers, cabinets, a reception area, DigiMart seating, and outdoor benches. Please take a moment to look through the enclosed brochure and see the variety of ways you can help make LSSN’s home complete. Gifts toward the “innovation” and “people” objectives of the “Opening New Doors” Campaign will assist LSSN in launching three new programs and hiring additional staff to manage them. 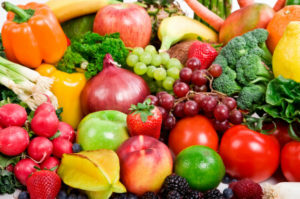 Nutrition Education Services- a new staff position that will assist clients in planning healthy meals to prevent heart disease, diabetes, and other health perils that disproportionately impact the poor. 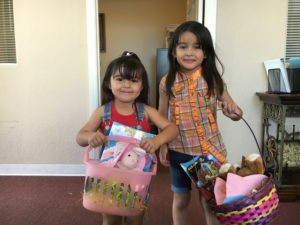 With these thoughts in mind, I hope that you, as a valued supporter of LSSN, will innovate with us by prayerfully considering a financial commitment of to our “Opening New Doors” Campaign for Lutheran Social Services of Nevada. All gifts are appreciated! Your contribution may be paid over a three- year period of time. All commitments of $10,000 or more by individuals, families, companies, congregations, and other organizations will be recognized on a permanent Donor Wall. In addition, there are naming opportunities available for various rooms, the facility gardens, and outdoor benches. Please check out the list of naming opportunities on the back of the enclosed letter from our Campaign Honorary Co-Chairs. 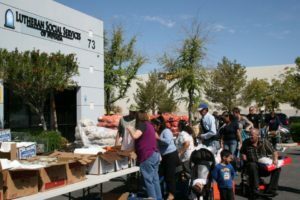 Friends, with the building of this permanent home, you have never had a better opportunity to be named as a supportive partner in the work of Lutheran Social Services of Nevada! Your gift right now will make a strategic difference in the kind of work LSSN will be poised to do in the very near future as their new permanent home nears completion and as new outreach begins. Please use the enclosed pledge card and envelope to send your donation or the first payment of your three-year pledge today! P.S. When completed, the new home of LSSN will not only provide vital and innovative services to low-income residents throughout every year but will also – due to its Eastside location – provide emergency services to one of the most underserved areas of the Las Vegas Valley in times of crisis and trauma. Please keep this thought in mind as you make your “Opening New Doors” Campaign decision.